The Jockey Club released the 2015 Experimental Free Handicap on Jan. 29, and Colonel John was the only stallion to have more than one 2-year-old colt ranked in the top 12 horses on the prestigious list. The Experimental Free Handicap, published annually since 1935, is a weight-based assessment of the previous year’s leading 2-year-olds, with the weights compiled for a hypothetical race at 1 1/16 miles. This year’s list of eligible horses to be weighted included all 2-year-olds of 2015 that started in graded or listed stakes races run in the United States and, for the first time, in Canada. Multiple graded stakes winner Airoforce was assigned 120 pounds, six behind 2-year-old champion Nyquist. Airoforce’s excellent campaign included wins in the Kentucky Jockey Club (G2) and Bourbon S. (G3) on the turf, as well as a runner-up finish by a neck after a tough trip in the Breeders’ Cup Juvenile Turf (G1). Airoforce, owned by John Oxley, was a $350,000 OBS 2-year-old and is currently training for the 2016 Triple Crown trail in Florida with Mark Casse. Cocked and Loaded, also a two-time stakes winner as a juvenile, was given 117 pounds by the Jockey Club committee. The Kentucky-bred colt won the $250,000 Tremont S. at Belmont Park in his second start, then took the Iroquois S. (G3) at Churchill Downs. He finished the year with three wins in six starts and earnings of $310,840. Airoforce and Cocked and Loaded helped propel Colonel John to the top spot on the 2015 Third-Crop Sire list by winners and wins. 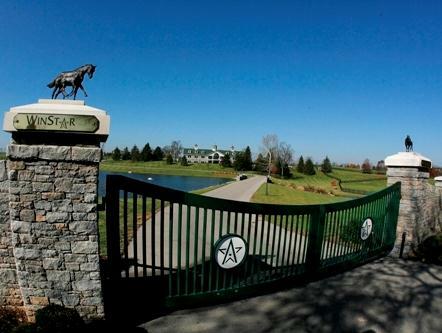 He is standing this year at WinStar Farm for $7,500 live foal, stands and nurses.